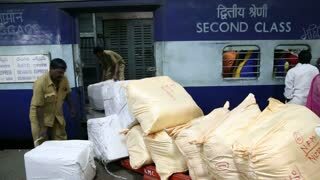 MUMBAI, INDIA - 14 JANUARY 2015: Workers loading packages into train at train station in Mumbai. 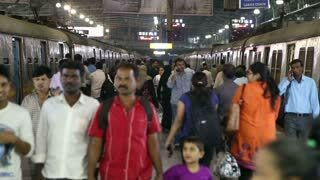 MUMBAI, INDIA - 16 JANUARY 2015: Crowd at a busy train station in Mumbai. 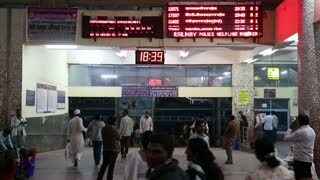 MUMBAI, INDIA - 12 JANUARY 2015: Train station in the night time in Mumbai. MUMBAI, INDIA - 14 JANUARY 2015: People at the indoors of train station in Mumbai. MUMBAI, INDIA - 14 JANUARY 2015: Family sitting and waiting on the floor of train station in Mumbai. 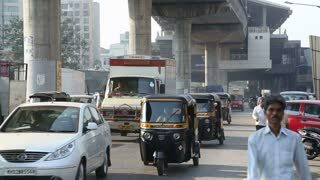 MUMBAI, INDIA - 14 JANUARY 2015: Crowd of people walking through the entrance of train station in Mumbai. MUMBAI, INDIA - 14 JANUARY 2015: Workers loading packages into train while people pass by. MUMBAI, INDIA - 14 JANUARY 2015: Workers preparing to load packages into train at train station in Mumbai. MUMBAI, INDIA - 14 JANUARY 2015: People at the crowded train station in Mumbai in the night time. 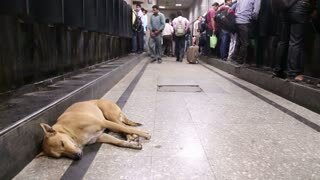 MUMBAI, INDIA - 14 JANUARY 2015: Dog laying on the floor of a crowded train station in Mumbai. MUMBAI, INDIA - 14 JANUARY 2015: People at the train station in Mumbai in the night time.